From the name itself, I honestly don't know how to use a Double Wall French Press. I am willing and would love to acquire one, that's why I'm very excited when I got an approval to review on one. I'm used to the ground coffee, instant coffee while growing up. Therefore a French press would be an innovative and challenging for me. I went online to read further instruction on how to use a french press. I also went on YouTube to see the actual way of using the item. When the product came in the mail, it is sealed and have a FRAGILE note outside the box. I see no damage or dent due to the shipment, which is very awesome because I use the product right away. The french press is bigger than I expected, it can hold up to 34 Oz water inside, which is 4 glasses of coffee. 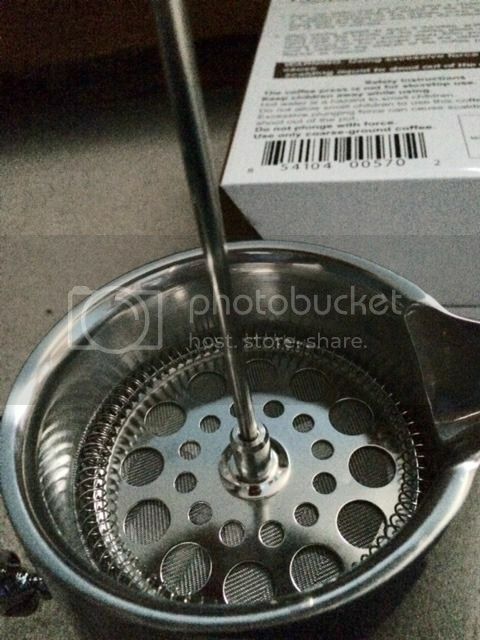 Because I am a newbie on this product and how to use the french press, I admit that I'm a little bit clueless of what to do. Thanks to the modern technology I can search or watch procedures online about how to use a french press. I love the custom vintage design, it's a dishwasher safe, holds 1000ml so if I have guests I can share it with at least 4 cups of amazing coffee. The double wall it has that would keep liquid hot longer and dribble-proof spout. Francois et Mimi Vintage Double Wall French Press is available on Amazon. 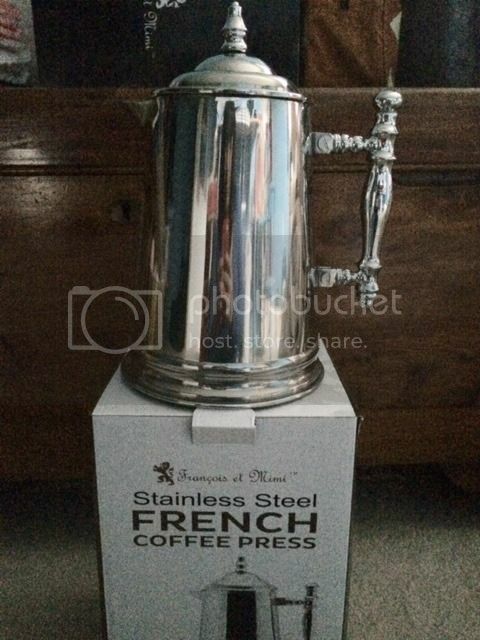 This is one great product to give to someone you know who would love to get a french press. Wow! that was nice item to have in one's kitchen .. Pero not sa main. Hindi kami mahilig sa kape eh. This is a classic! My mil loves to collect French Presses. She will love this. Oh! This looks classic and looks classy Mommy N. I would love to try it if given the chance as well. Wow, this is really nice to have especially if you love coffee. I have no idea how to use a French press, too. Good to hear that you were able to experience it.